DROP AND GIVE ME 2012! Czech artist David Cerny has brought his vision of the Olympic Games in London to life, for the 30th summer games. 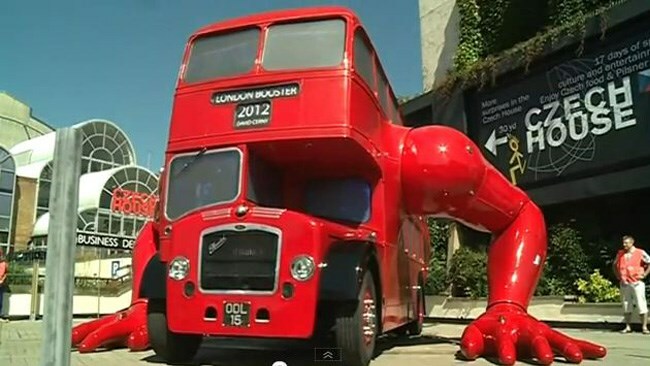 His mechanised sculpture, a six-tonne, 1957 Bristol bus that does push-ups, has been installed outside Czech Olympic House in Islington, north London. With the opening ceremony only days away, Cerny has married what he believes is the universal exercise of virtually all athletes, with the iconic, red, double-decker.